Fill A Bus Fill A Belly Success! 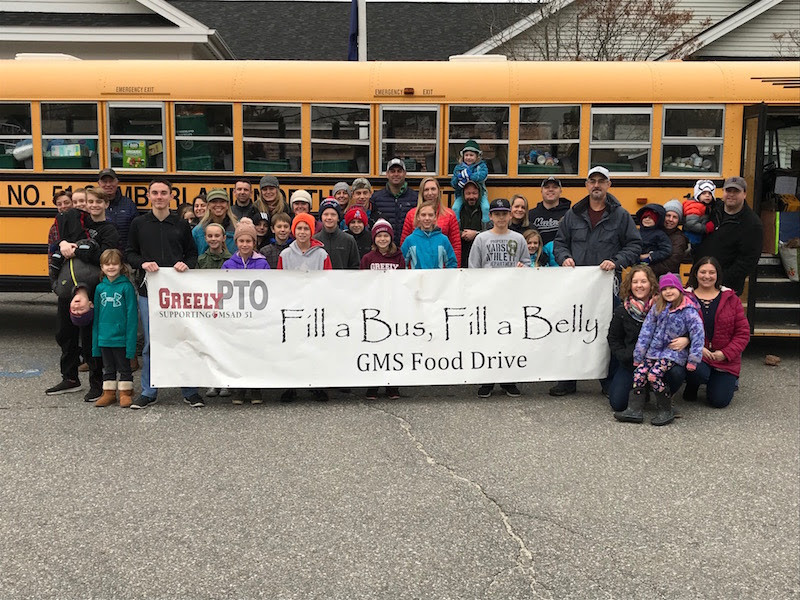 Greely PTO wants to extend a heartfelt THANK YOU to the MSAD 51 community for your generosity, helping us make this year's Fill A Bus Fill A Belly campaign our most successful ever! The week-long effort collected over 6,800 lbs of food (almost double what was collected last year) which will go a long way in helping families in our community. Thank you to all who donated items and volunteered your time for this important effort. Dozens of you helped us collect and load the bus throughout the week, multiple classrooms brought their donations and sorted items into bins, and over 50 volunteers ranging from dads, moms, and kids, set a new record unloading the school bus in 6 minutes and 37 seconds! Our community is stronger because of all of you, and we thank you for your support!